What’s happening to your skin when you’re getting a tattoo? 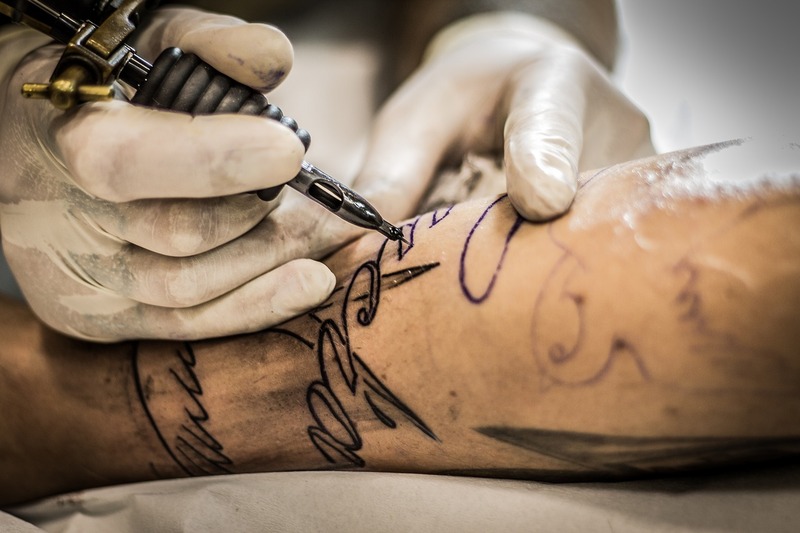 Getting a tattoo is like getting multiple injections of ink in a concentrated location on the skin – of course usually in a meaningful pattern according to the tattoo design. Tattoo needles take the ink through the epidermis (outer layer) into the dermis (second layer). The epidermis is responsible for new skin cell production. Think about your skin peeling after a sunburn and scabs forming when you get a cut. This layer of the skin also produces melanin, dictating what color your skin is. Additionally, protective immune cells live in the epidermis. Think about how much nasty stuff your skin is exposed to on a regular basis. These immune cells are hard at work 24/7. First-degree burns are those that affect the epidermis. The dermis has its own set of duties, including sweat production, sensation, hair growing, oil-making, and ferrying blood to and from the epidermis. Second-degree burns are those that affect the epidermis and part of the dermis. The immune cells living in the epidermis don’t know that the needle piercing the skin is something you’ve voluntarily agreed to do (actually paying someone to do). They react as if the body is under attack, triggering the inflammatory response. You’re familiar with the immune response if you’ve ever cut yourself, scratched a bug bite, or gotten a sunburn. I’m going to go out on a not-to-flimsy limb here and say you’ve definitely experienced the inflammatory response during your lifetime. When immune cells in the epidermis trigger the inflammatory response, the immune system goes on high alert, sending troops of specialized immune cells to the wound site. This is also why you feel pain during a tattoo (and other wounds) – your body is telling you that you’re under attack and you need to GTFO. The ink delivered by the tattoo is taken up by immune cells called macrophages, which specialize in engulfing particles and digesting them to “clean up debris” at a wound site. Skin cells called fibroblasts also take up ink. Whichever way the ink goes, those cells stay in the dermis permanently, providing the “a tattoo is forever” quality that makes grandmothers everywhere furrow the brows and purse their lips in disapproval. Following trends in nutrition science can seem confusing, frustrating, and even pointless. A lot of nutrition research is funded by big players in the food industry which can lead to published results that are potentially biased and misleading. However, I like to encourage people not to give up on nutrition science altogether. Like anything else, it is imperfect, and more experts are dedicating their research to understanding the beneficial aspects of specific foods every day. I am a big fan of the research conducted at the North Carolina Research Campus, where scientists focus on specific fruits and vegetables (F&V), their different components, and what these components can do for specific bodily functions. But today I refer to a recent review of nutrition studies published by the American College of Cardiology, where leading experts are focusing on digging through the controversy and returning with a “bottom line.” For example, are eggs good for you because they contain protein or bad for you because they are high in cholesterol? You have probably heard both arguments, and the contradiction can be confusing enough to make you want to forget about “trying to be healthy” all together because of the way nutrition “experts” cannot seem to agree on a dependable, official standard. 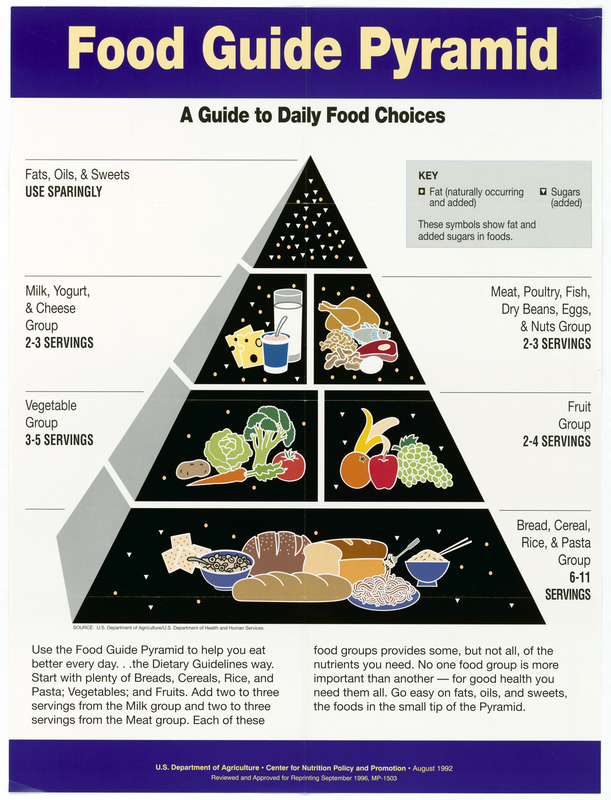 There is still a large volume of knowledge that scientists have yet to access concerning the nutritional components of F&V and other healthy foods and how they work to heal the body and prevent disease, so do not expect the recent review to be a flawless and timeless new guide to eating right. Instead, take it in as a reliable source and an accurate representation of the body of work that encompasses nutrition research. If you decide make a lifestyle change because of the information the review has to offer, that is great, but if you continue to shun the idea of altering your eating habits because of the possibility of the information changing in the future, that is your decision. But come on, should the essential message present in the review, that relying on a mostly plant-based diet is the best way to prevent disease, really come as a surprise to you? 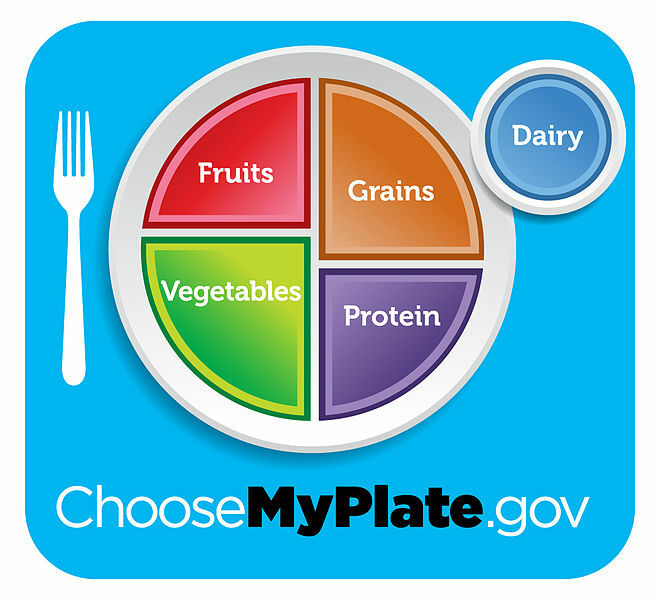 The review discusses different diet patterns including fads and trends, problems with modern nutrition research, and controversies about the consumption of different foods. I am going explore each topic one by one, but I also encourage you to check out the review for yourself. It is easy to read. For even lighter reading, here is a press release about the review from the American College of Cardiology. Stay tuned. A recent report of a death from a specific type of organism that causes brain disease has millions of people concerned about going swimming. The loss of life from this disease is devastating, but there’s actually almost no reason why people should stop going to the U.S. National White Water Center (WWC) in Charlotte, North Carolina, where officials are still not positive the female from Ohio was exposed to the disease-causing organism. Naegleria fowleri is an amoeba species that causes an extremely rare infection of the brain called primary amebic meningoencephalitis. Less than ten cases per year have been reported in the United States for the past 50 years, with just 37 infections reported to the Centers for Disease Control and Prevention (CDC) during 2006 and 2015. However rare the disease may be, infections do occur as seen in the unfortunate report of an Ohio female visiting the WWC with a church youth group. It’s difficult to resist feeling a little bit afraid after hearing this story on the news, especially since the media refers to the amoeba as “brain-eating.” The reality is that N. fowleri breaks down brain tissue, causing death from brain swelling. Meningitis, or the infection of the brain and/or spinal cord, is not unique to N. fowleri. Meningitis occurs much more often as a result of a viral infection than from an amoeba or other parasite. Additionally, it is important to note that you are only at risk for primary amebic meningoencephalitis if N. fowleri goes up your nose. If you swallow contaminated water, you’re fine. If you’re swimming in the ocean, you’re safe (N. fowleri doesn’t like salty water). The amoeba is only dangerous if it goes up your nose, which contributes to the rarity of this disease. Am I hooked after reading these titles? Yes. Is my mom canceling her trip to the WWC this weekend? Most likely. Does this title really describe the situation? Not entirely. Meningitis from this particular amoeba is extremely rare. You’re no more likely to contract this disease from the WWC in Charlotte than you are at any lake, river, or other non-saline body of water in the world. Officials are not even sure if it was actually the WWC where the amoeba was contracted. The WWC is still running under regular operation, and scientists are testing the water for amoeba right now. You are not at danger from contracting meningitis from this amoeba by drinking contaminated water. It has to go up your nose to be dangerous. 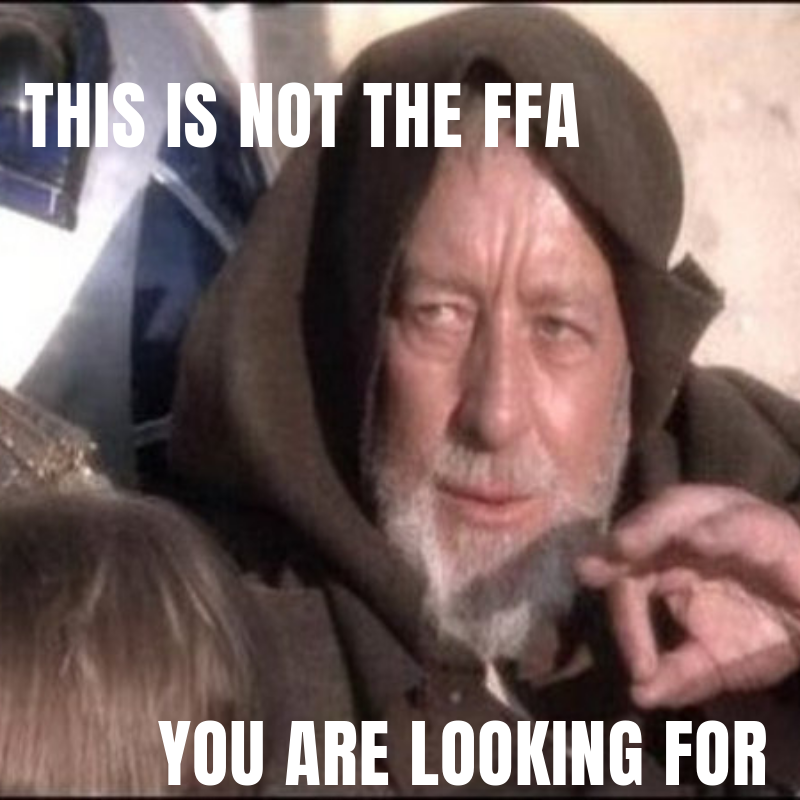 Know the facts, stay informed, and don’t be afraid! Scientists have reached a major milestone in the search for renewable energy, and it is in the form of an altered enzyme encased in a protective viral capsid. From Indiana University, lead researcher Trevor Douglas and his team used two Escherchia coli (E. coli) genes, hyaA and hyaB to produce hydrogenase in the lab. E. coli is commonly used in the lab as a model organism and can often be the cause of food poisoning (CDC). While being sheltered in a protective shell from bacteriophage 22, a virus that infects bacteria, modified hydrogenase has the power to catalyze the formation of hydrogen by breaking the chemical bonds of water. In nature, hydrogenase is required by most microorganisms for energy metabolism (Structure). Harnessing the power of hydrogenase could be key for creating renewable energy. The new enzyme is called “P22-Hyd,” and Douglas’ team reports that it is 150 times more efficient than the enzyme in its natural state. “The end result is a virus-like particle that behaves the same as a highly sophisticated material that catalyzes the production of hydrogen,” Douglas said. His study was published in Nature Chemistry earlier this month. P22-Hyd costs less to make, is more environmentally friendly, and can also reverse its effect, recombining the chemical bonds of water to generate power. “It’s truly renewable,” Douglas said. Next, Douglas and his team set out to make P22-Hyd the best candidate for creating hydrogen power by activating a “catalytic reaction with sunlight.” If they continue to be successful, highly efficient, modified hydrogenase could be the future of providing inexpensive and efficient fuel. In the last decade, the presence of “gluten-free” products has drastically increased on our grocery store shelves, TV commercials, and in our conversations. “She’s gluten free now” is a statement we hear often while catching up with friends. Why is gluten all of a sudden such a problem? What IS gluten? Should everyone eliminate gluten from their diet? All of these questions and more will soon be answered in a 3-part series of blog posts about gluten and the recently popular gluten-free diet trend. I plan to describe gluten and the foods it is naturally found in and also discuss the nature of gluten-free substitutes. Plus, look forward to exclusive interviews with UNC Chapel Hill student, Bailey Brislin, as she explains why she follows a gluten-free diet, and Dr. Vaishali Mankad, a practicing allergist at Allergy Partners of Raleigh. Understanding the biology surrounding gluten as well as its impact on our health is important. We are constantly in search of the best diet to follow for optimal health, and the media has a huge impact on what we think will help us lose weight or be healthier. Is eliminating gluten from your diet the right choice for you? Stay tuned to find out! This morning at 9:30, UNC Chapel Hill Chancellor Carol Folt, along with GlaxoSmithKline CEO Andrew Witty, announced the collaboration of their respective institutions with a shared goal in mind: finding a cure for HIV/AIDS. Just 24 hours after leading the commencement ceremony for 6,053 UNC Chapel Hill students, Folt introduced the new company to UNC’s campus, Qura Therapeutics. Folt assured listeners that everyone involved, scientists and investors alike, will be 100% committed to the project. Folt also stressed the significance of their goal as cure science (as opposed to treatment therapies). Although the HIV/AIDS cure efforts at Qura Therapeutics are projected to last for at least a decade, Folt discussed the sense of urgency that everyone involved in the project feels on a daily basis. GSK will be 300 years old this year, an age even greater than UNC Chapel Hill, the nation’s oldest public university. The UNC/GSK collaboration will be a 50/50 partnership, a surprising move for GSK, which already brings in millions of dollars as the second largest producer of drugs for treating HIV. 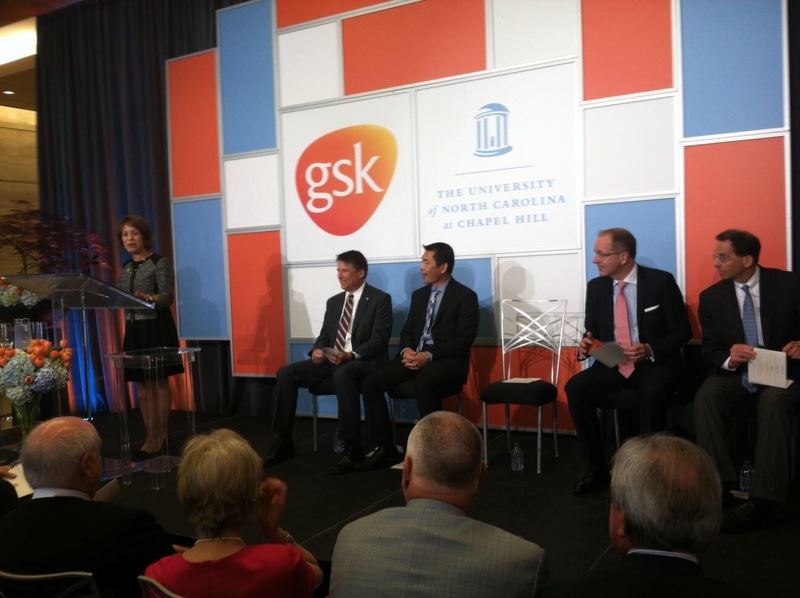 In addition to words from Chancellor Folt, there were also speeches from GSK CEO Andrew Witty, NC Governor Pat McCrory, and major scientific contributors: Dr. David Margolis from the UNC School of Medicine and Dr. Zhi Hung from GSK. Stressing the significance in working together was a common theme throughout the morning announcement. Governor McCrory also mentioned the opportunity to simultaneously “save lives and create jobs.” McCrory highly praised UNC as the top university in the state and Chapel Hill as the “capital of the research area” in North Carolina. He brought to light the significance of the UNC/GSK partnership as bringing deserved attention to the research projects conducted in North Carolina at our prestigious universities – a force to be reckoned with on the same level as in Silicon Valley, Boston, and New York. However, McCrory also reminded the audience and those watching on YouTube via a live feed that the most important priority was saving lives through curing HIV/AIDS. The collaborative research and development model to be implemented by the fusion of efforts between UNC and GSK is a monumental move in the search for a cure to HIV/AIDS. How long until scientists find and produce a cure? Will the cure be affordable and accessible to the lower classes in our nation and abroad? Life-saving medication, innovative cancer treatments, and stem cell therapy are all amazing discoveries that began in a research laboratory. Some students may not realize that they can participate in research as early as their undergraduate years. Many students beginning their studies at UNC as natural science majors are often presumed to be bound for medical school. However, many science majors choose to spend their time preparing for a career in research and academia. The unique opportunities at many research-oriented universities provide invaluable potential experiences for undergraduates to supplement and enhance their studies in a variety of subjects. Every student should try research, whether as a potential career or as a way to gain a deeper understanding of scientific concepts. Image 1: Brittany Simpson pipettes a few microliters of broth-cultured S. aureus into a microcentrifuge tube in preparation for making diluted solutions of bacteria. 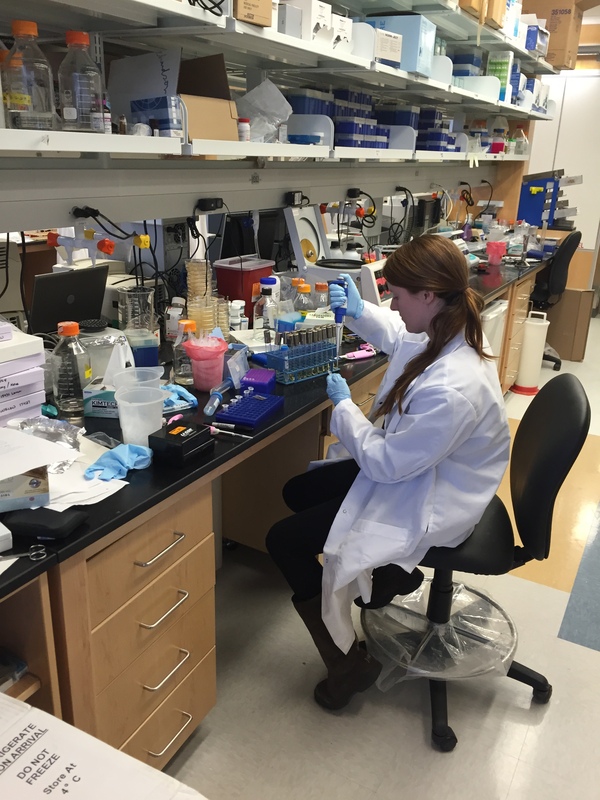 For Brittany Simpson, who has worked in Dr. Tony Richardson’s microbiology lab since the summer of 2014, applying biological concepts and techniques in the lab has greatly enhanced her appreciation for active learning (Image 1). Although admitting lab work is a “rather large time commitment,” Simpson shares that it is “cool to get to do the stuff you learn about in your biology classes.” Many students find lab work a helpful supplement while learning material in their science classes. Thus, involvement in research not only prepares students for their future (if pursuing graduate studies), but also enriches their current learning. One of the projects Simpson works on in the Richardson lab involves testing the anti-microbial properties of cancer drugs on Methicillin-Resistant Staphylococcus aureus (MRSA) (Featured Image). Simpson’s inspiration for pursuing research stemmed from curiosity and uncertainty about post-graduation plans. Another undergraduate, Cory Breaux, joined a lab in the UNC Neuroscience Center after finding it as an option for work study jobs. For two years, Breaux developed skills in DNA sequencing, immunochemohistory, tissue preservation, and animal care. Breaux appreciates his experience for “learning more about the academic scientific process and how researchers take ideas to reality.” In his statement, Breaux touches on an important aspect of engaging in research in addition to attending lectures for class. Application of ideas cannot be adequately learned and practiced through reading a textbook or flipping through a PowerPoint – rather these connections can be made through conducting experiments and facing the tribulation of trial and error techniques. Like Simpson, Breaux recognizes and appreciates this enhancement of learning. Image 2: A. thaliana plants, a model organism for meiotic recombination used by Nunnery’s lab. researching meiotic recombination and regulation (Image 2). Specifically, Nunnery extracts DNA, runs Polymerase Chain Reactions (PCR), and genotyping of A. thaliana. She mentions learning about PCR and gel electrophoresis techniques initially in a genetics lecture before conducting these procedures on a daily basis in the lab. “It’s an entirely different way to think and learn about biology,” Nunnery explains. “My daily research broadens concepts I learn in class from something I memorize to something I understand how to use.” As Nunnery explains, it is typical of a biology major to learn in class the steps of and probably to draw the process of meiosis, the cell division process all eukaryotes use to reduce the number of chromosomes by half. 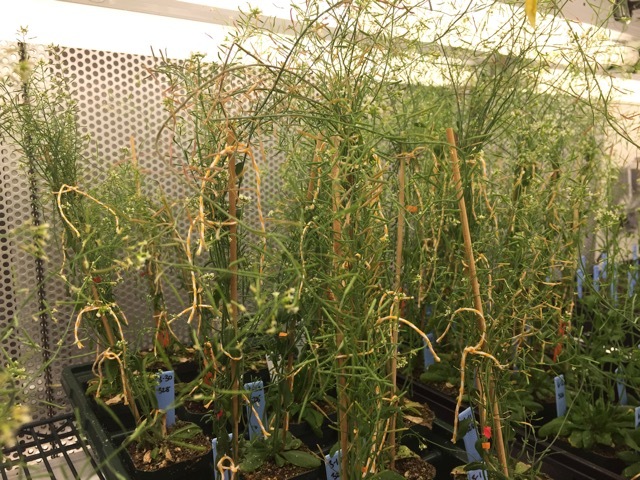 It is not as typical to extract DNA from plants to directly assess their fertility qualities based on molecular tests of a specific protein involved in meiotic recombination, which is part of Nunnery’s project. Often the skills that make a student successful while pursuing research go past acing lecture exams. Many students find a knack for navigating the scientific process and enjoy the potential to discover new metabolic pathways or enzymatic activities beyond the classic models we learn in class. The ability to make a career out of growing our knowledge is exciting for students who enjoy understanding how life works. Many research opportunities also have clinical aspects, which might interest students who are interested in seeing the connection between research and a medical application. Simpson found value in active learning during her time in the lab, Breaux appreciated learning deeper about the scientific process, and Nunnery enjoyed the synergistic learning experience of learning in class lectures while conducting the experiments herself in lab. Ultimately, there is large value in a research career. A researcher is creative, innovative, patient, and appreciative of discovering the truth. Students should take the opportunity to partake in research as an undergraduate if possible, for no matter what career path they choose, they will always appreciate the depth of knowledge they gain from conducting their own research. UNC students: No matter what your major is or what your career interests are, consider getting involved in research! There are so many resources available to us while attending a university with such top-notch research projects being conducted. You’ll never know who you’ll meet or what you’ll learn. See for yourself! Interview with Brittany Simpson. 9/30/14. Interview with Cory Breaux, 9/29/14. Interview with Savannah Nunnery. 2/9/15. This article was previously published in Carolina Scientific Magazine, Spring 2015.